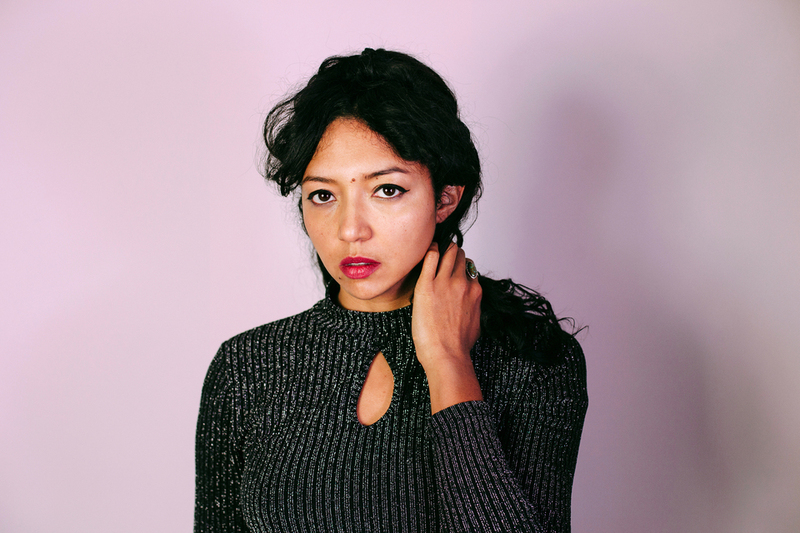 Shana Cleveland is building her own universe. A member of La Luz, her solo work moves from palatial folk hues through to wild psychedelia, all funnelled through this remarkable DIY prism. New album 'Night Of The Worm Moon' channels sci-fi landscapes and indie pop melodies, an expansive, difficult to predict but impossible to ignore achievement. Out on April 8th, part of the record was built during an actual Solar Eclipse. "We took a break from recording during (the) totality and looked at the sun's image through a piece of cardboard projecting onto a garbage can,” she recalls. “When we came back inside the studio was covered in dozens of tiny crescent suns, refracted from a mirrored disco ball that (engineer Johnny Goss) had hanging in a window." A remarkable record, 'Night of The Worm Moon' is the sound of Shana Cleveland cutting loose, working alone and allowing a glimpse of her unfettered imagination. There’s a line in the song 'Heart Of The Country' that I ripped off on my album, it goes “heart of the country where the holy people go” but I always heard it as “horny people” and I like the thought that all the horny people would choose to go to the heart of the country, makes sense really, so much privacy! So I always sing it that way even after finding out that’s probably wrong, and in my song 'Fireball' there’s a line “Oh, heart of darkness where the horny people go”. Anyway - 'Ram', this album’s nuts. He’s just f’cking around in that endearingly Paul way and so there are some perfect pop tunes here but the whole thing feels so nicely casual. It’s a such a joyful and strange album. Takeshi Terauchi is my personal guitar hero. I guess he got his start in a country western band and was probably influenced by some Western rock and surf guitar but man, nobody else sounds anything like his insane electric mix of western and eastern music. 'Clamour Of The Sun' and 'Ake Garasu' are a couple favourites. This is such a sweet and melancholy bedroom folk album. Sometimes I forget how much I love albums that are only one vocal and one guitar, it’s just you and Sibylle when you listen to these songs and the lyrics are as intimate as the arrangements. She sings of “when I left home to just buy some food, considering if one shouldn’t die or if one should”, and about coming home from work to a man buttering bread with a cat on his knee. One of my favourite authors is Richard Brautigan and I find the same sense of the beautiful sadness of the everyday on this album as I do in his books. Apparently Satchidananda was the name of her own “beloved spiritual perceptor”. I’ve never had any kind of religion in my life but the depth of beauty of some music, like this album, can take me out of my body to a place that feels spiritual. That kind of transcendence feels more possible to me sometimes with instrumental music, no words are telling you how to feel so you’re mind is free to wander away in any direction. My friend Dunja gave me a copy of this record years ago while I was on tour in Switzerland with La Luz. It was originally a Smithsonian Folkways release I think and her label put out a beautiful reissue. I’m a big geek for acoustic instrumental guitar music and this collection of Haitian folk songs interpreted by Casseus for classical guitar is such a beautiful example. Really, it is some of the most beautiful music of any kind that I’ve heard. This has temporarily eclipsed all my Fayhe and Basho records over the last couple years. 'Night Of The Worm Moon' will be released on April 8th.